We're treated with another video from Brown Thomas with La Mer ambassador Sarantis Tsimilimis showing us The Hydrating Facial and how to apply it. Also see Jessica Simpson use The Hydrating Facial on the My Crème de la Mer Celebrity List. 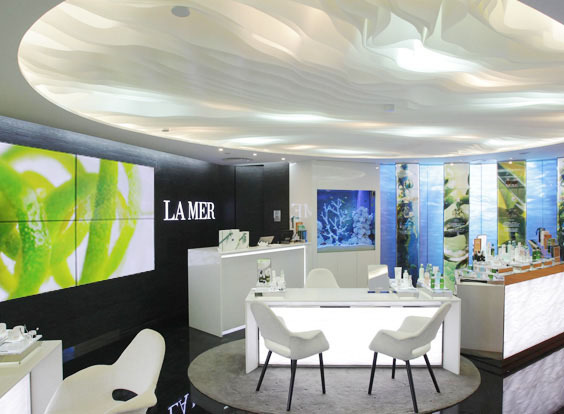 Images from the world's first La Mer Concept store at the Nanjing Deji Plaza Shopping Center in China. I imagine that most stores will transition to this new look. 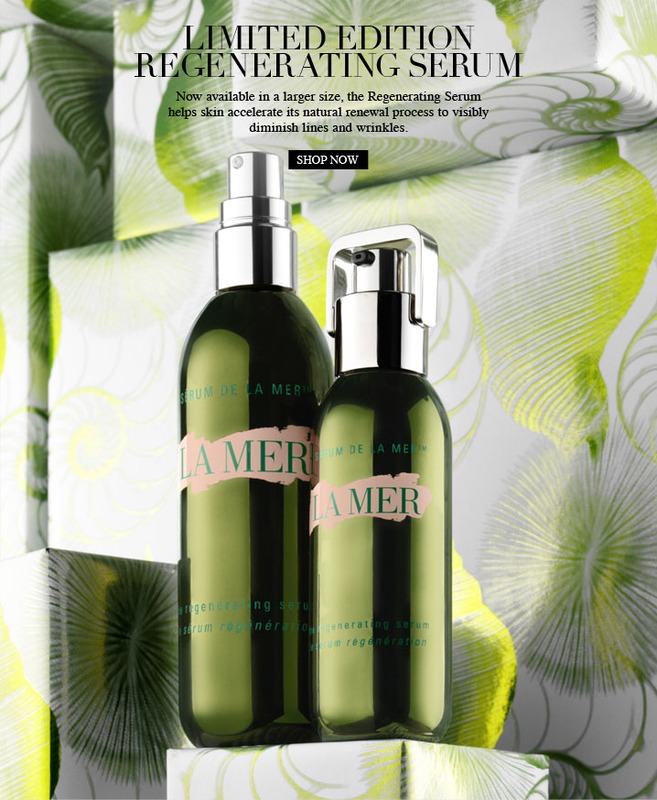 As part of the Christmas editions La Mer is offering - for a limited time only - a deluxe size of The Radiant Serum, the product from La Mer of which I absolutely adore the smell of - L'arôme de la mer. Adding up the pricing for the 1 oz vs. the 2.5 oz size it's a saving of $100.00 by acquiring the Limited Edition of The Radiant Serum! Read PART 1 of the La Mer Holiday Collections 2012. A complete regimen of carefully selected treatments in convenient travel sizes that work together to lift, firm and rejuvenate the look of skin.With regular use, fine lines, wrinkles and pores are visibly diminished. Offered in a limited edition travel-ready pouch. 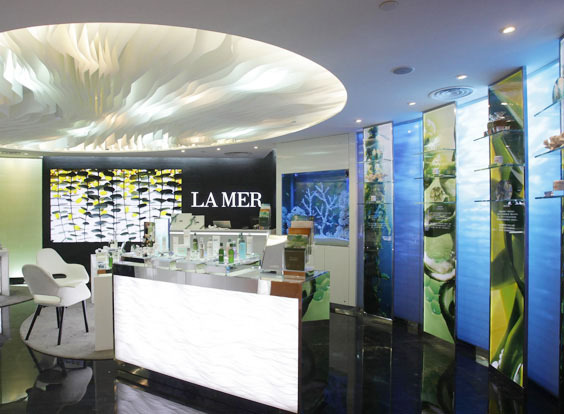 The 2012 Crème de la Mer gift sets offers great value again! 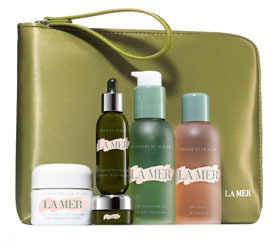 Not just a great saving for purchasing La Mer as a gift (or a reward for yourself), the combinations of the gifts are perfectly put together for the devoted fan and for the rookie - you can even create your own gift sets, as pictured in this ad - a 'la Ella Fitzgerald. 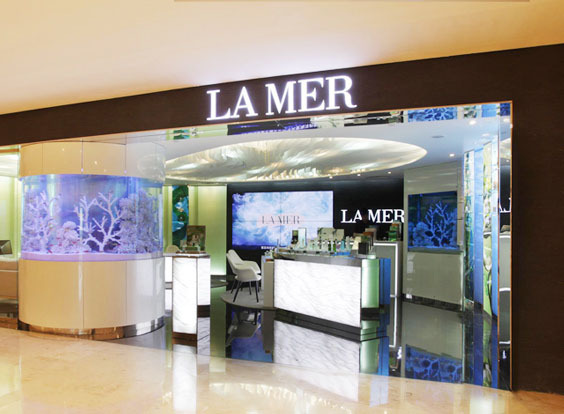 This year's festive La Mer gift wrapping is elegantly designed ocean-inspired green shells on white for the wrapping paper and box gift sets. 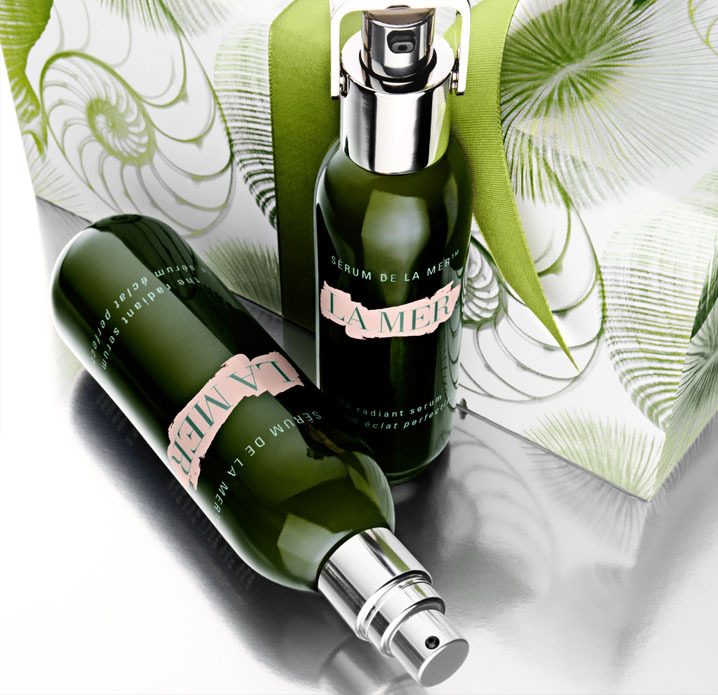 For custom gifts your products are presented a white box with green inlay - tied with green ribbon this year. 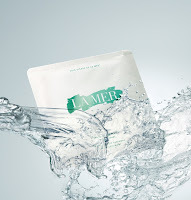 Instantly renews and rejuvinates skin. 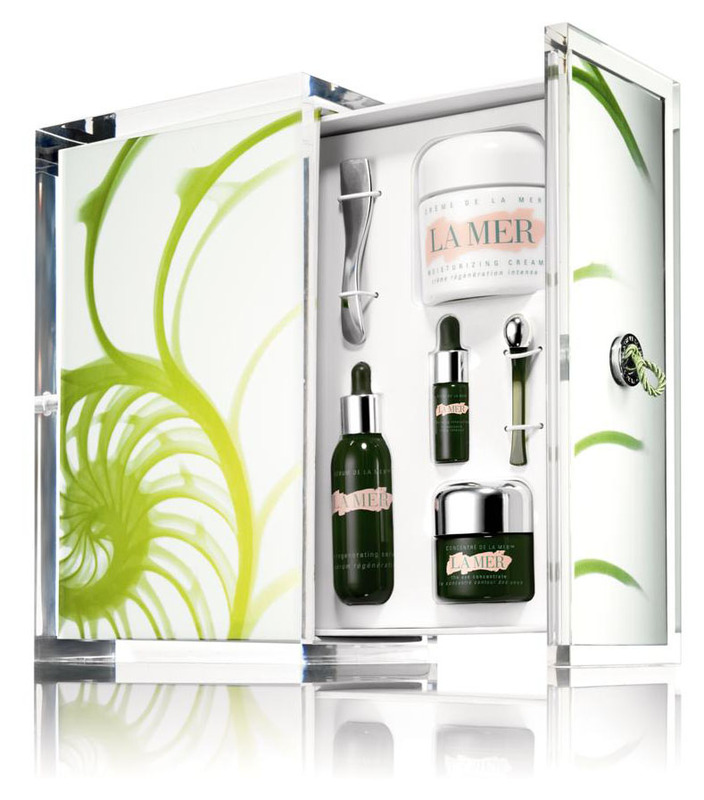 This special selection of treatments and creams visibly diminishes lines, wrinkles and pores. Sensitivites are soothed and radiance restored. Just for us for the festive season La Mer is launching, for a short time only, a Limited Edition larger size of The Regenerating Serum. I can't emphasize how much I LOVE The Regenerating Serum and what remarkable results I continue to receive from using it - and now by purchasing the limited 2.5 oz size we get to save a whopping $100.00!